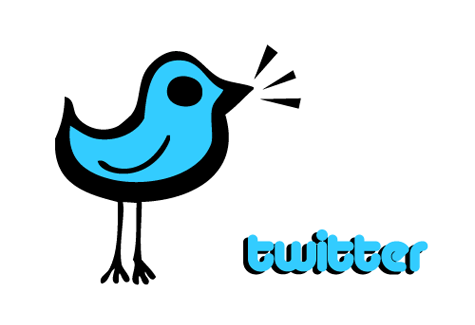 How to use Twitter and participate in a Twitter Chat or Twitter Party! Twitter is such a great social networking site! I have been so surprised about the community of natural mamas out there! It is wonderful place and twitter is a great way to connect all of us! Not only can you chat with other natural mamas, but you can chat with other Retailers, Manufacturers, Celebrities, etc. You will also learn about sales and giveaways!! Twitter is a service for friends, family and co-workers to communicate and stay connected through the exchange of quick, frequent answers to one simple question: What are you doing? Following: Same idea as adding a “friend” on Facebook, except that if they do not follow you back they will not see your updates. Tweets: These will appear in your “timeline” or Twitter Feed. Your tweet has 140 character limit. Here is an example tweet: “Finishing up hanging my #clothdiapers out on the clothesline”. Retweet or RT: This is a process in which you repost someone else’s Twitter status on your feed. Here is an example “RT #username “text of the tweet you are reposting”. Hashtags: The hash “#” sign is used to mark a word as a keyword. For example adding #clothdiapers hashtag allows others to view your tweet that are following that keyword in case they are not following you! @ (Mentions or Replies): The @ sign is used to indate that your are replying to a specific username. For example, if I wanted to ask Tiny Tush a question about their diapers, I would tweet: @TinyTush “text/question”. Remember that @reply is visible to everyone, so if you need to discuss something privately use Direct Message. Direct Message (DM): Direct Messages are the twitter equivalent to email. You may only send direct messages to those following you. Every Monday night at 8:00 pm EST a cloth diaper community comes together and chats all about “fluff”. To chat along with the group, it is pretty simple adding a hashtag at the end of your tweet #clothdiapers. 4. Enter the hashtag box with #clothdiapers, enter your Twitter Username and Password and click “Tweet”. Now you are all set to chat! Tweet Grid is nice beacause it will automatically update. Yes, it gets very busy and it is hard to keep up with the chatter, but you will get the hang of it! This really is a great forum to connect with other cloth diapers families, retailers, and manufacturers. You can ask questions about cloth diaper care, cloth diaper sizing, cloth diaper troubleshooting and so much more! You would participate in a Twitter Party the same way that you would participate in a Twitter Chat, so follow the above directions. What's the difference? With Twitter Parties there is usually a sponsor and a theme and those who will be participating will be asked to RSVP in advance. Prizes are usually given out at random and winners are chosen from those who have rsvp'd. Did you know Knickernappies is having their first Twitter Party? It's September 2, 2010 from 9-10pm EST. The Hashtag is #knickernappies and you can RSVP now at The Eco Chic Blog! The majority of this article was contributed by Marissa of Growing Green Bums! Want to follow her on Twitter? You can find her at @growinggreenbums!